We have developed as one of the highly leading stockist and exporters of copper products and cupronickel products. Our products include copper pipes, copper tubes, copper fittings, copper round bars, copper sheets, copper plates, copper strips, copper fasteners etc. Our high quality products are further renowned for their optimum usage, long life, effective maintenance and affordable rates. We are looking for enquires from South East Asia region. 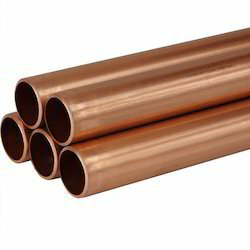 We are engaged in manufacturing a wide assortment of Copper Pipe Dimensions which are fabricated with the best quality copper alloys and copper sheets. Having high tensile strength, durability and corrosion persistence these pipes are available in various sizes, dimensions and diameter. These pipes are certified from various industrial standards. Range: 1½” OD to 6” OD in 22swg, 20swg, 18swg, 16swg, 14swg, 12swg, 10swg. 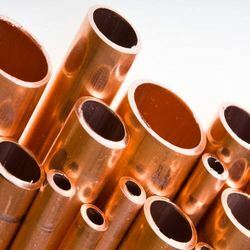 Along with the Industrial Copper Tubes , we are also involved in manufacturing and supplying a wide range of copper tubes. Fabricated with premium quality copper alloys and copper sheets these products are durable, corrosion resistant and robust hence, broadly used in many industrial and constructional applications. Available in various forms such as seamless, CRW, welded these tubes are synchronized with the industrial standards.